What if you could escape the most horrible time in human history by time travel? That is exactly what a group of children that show up out of nowhere claim. Their leader named Myth has futuristic technology, which seems to add credence to the story of escaping a dark future, but is there a different explanation? Who are the people hunting the children? Where do the children come from? Can even the NSA protect the kids from terrifying forces that hunt them? 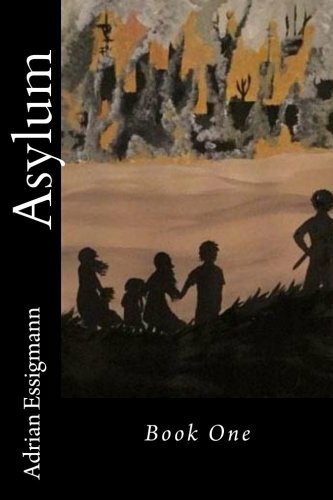 Welcome to the mysterious and crazy world of the Asylum Series! Adrian Essigmann has been the pastor of Austinburg Baptist Church for the last eighteen years and was a youth pastor before that. He met his beautiful wife at Davis Collge (called Practical Bible Training School at that time) and they married in 1993. They went on to bring four wonderful children into the world named Matthew, Adrianna, Autumn, and Leland. To make ends meet Adrian is a cross country and track coach at an awesome school named Jasper-Troupsburg High School for over a decade and a half. He has written three stand alone novels from three different genres, six books in a military sci-fi/fantasy series called "The C-3 Saga", a spin off book from the C-3 series named "The Princess of Ashes", and a non-fiction book called "Attack on Girls Track!"